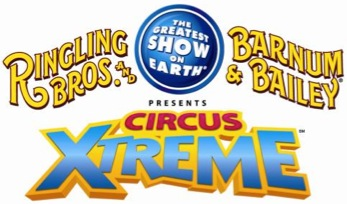 Ringling Bros. and Barnum & Bailey Presents Circus XTREME, features artists who redefine the word extreme in everything they do, magnifying traditional elements of the circus and combining them with never-before-seen spectacles, original fast-paced performances and incredibly hilarious moments. Audiences will be dazzled and astounded by the beautiful Bengal tigers, double-humped dromedaries ridden by brave Mongolian women and, for the last time, the most popular members of the Ringling Bros. and Barnum & Bailey family: the magnificent Asian elephants. Circus XTREME will come to life at two arenas in the Washington, D.C. area. The show will be at Verizon Center from March 31-April 3, and the EagleBank Arena in Fairfax, Va., from April 6-17. The ultimate family entertainment experience features high-wire wizards, spectacular strongmen, BMX trick riders, trampoline daredevils, inconceivable contortionists, a high-flying human cannonball, a bungee aerial skydiving display and an international assembly of more than 100 world-renowned artists. The party starts an hour before the show with the All Access Pre-show, which is free with your ticket purchase. You and your family can meet performers and get up close to the menagerie of animals. Try on custom costumes, learn circus skills from the famous Ringling Bros. Clown Alley and even have the opportunity to win a one-of-a-kind masterpiece created by one of our very own Ringling Bros. painting pachyderms. Ticketholders can also purchase an upgrade and go backstage with a VIP Behind the Scenes Tour of Ringling Bros. and Barnum & Bailey. The show is also the last opportunity for local residents to see the treasured Asian elephants before they are moved to their permanent home at the Ringling Bros. Center for Elephant Conservation® in Florida in May 2016. The elephants’ move to Ringling Bros. Center for Elephant Conservation will allow the company to focus on its Asian elephant conservation program and the pediatric cancer research partnership with Dr. Joshua Schiffman of Primary Children’s Hospital and The Huntsman Cancer Institute in Salt Lake City, Utah. You can only experience extreme thrills, exotic animals and extraordinary performers at Ringling Bros. and Barnum & Bailey Presents Circus XTREME, get your tickets for the thrilling entertainment experience today! All seats are reserved, and tickets are available at all Ticketmaster outlets, by phone at 800-745-3000, viawww.ticketmaster.com, and the Verizon Center or EagleBank Arena box office. For group rates and information, contact 202-661-5061. For more information, visit Ringling.com. Prices: $75 Front Row, $55 VIP, $35.00 (Verizon Center only), $30.00, $20.00 & $15.00. Prices subject to market demand and may change. Service charges and additional fees may apply. Want to win 4 tickets to OPENING NIGHT!? enter below! I'm most excited for my girls to see the animals <3 Neither one of them have been and they both love animals.